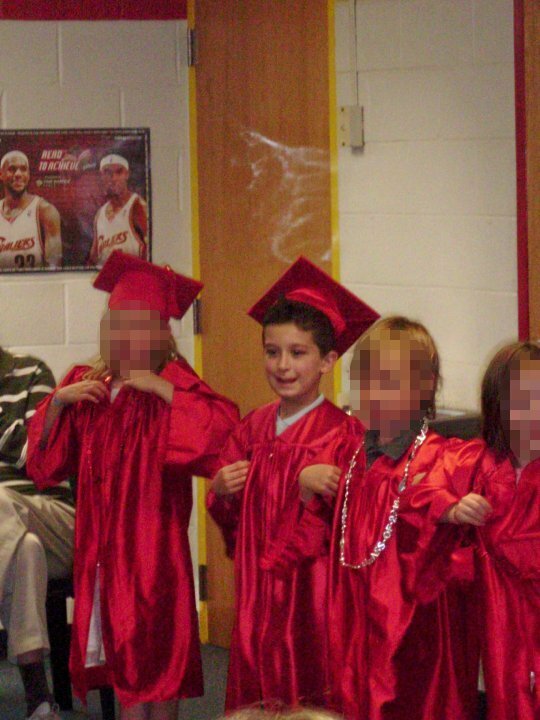 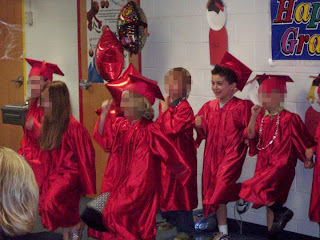 A friend of mine allowed me to post these two photos of her son's kindergarten graduation party this past spring. She wants to know what you think that white, tornado-looking thing is near the door. *Obviously, I masked the identities of the other kids.